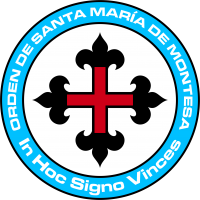 “In Hoc Signo Vinces” (With this sign you will win) Motto of the Order of Our Lady of Montesa. The Order of Montesa began as a military order with autonomous jurisdiction to defend the inner and outer borders of Acontecimento. The planetary army of Acontecimento was conceived within the PanOceanian military organization chart to act as an attack force specialized in assault operations. 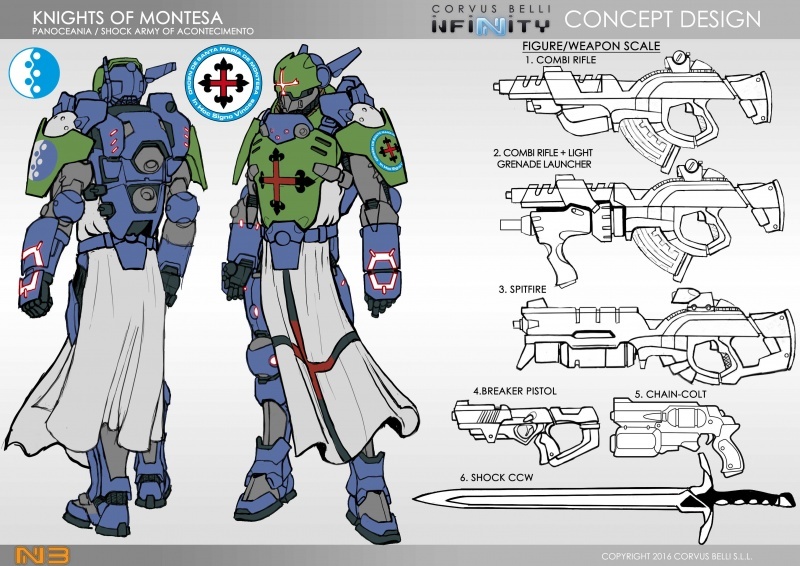 Therefore, the Order of Montesa works to reinforce the efforts of Acontecimento’s forces, and are impressive troopscapable of great shows of strength. Their achievements and deeds in combat are intended to give greater glory to God. The Knights of Montesa are famous for playing hard. Stubborn, powerful and graceful, they are the bravest in battle and the first to face danger. As mechanized heavy infantry, they are always found in the midst of the action. At the battle of Rilaspur, on Paradiso during the NeoColonial Wars, the Montesa’s attacked Yu Jing’s positions with extreme tenacity. They fought fiercely for seven hours, causing severe losses amongst Yu Jing’s troops and forcing them to retreat. The extraordinary bravery of the Knights of Montesa, who battled with incomparable valour, was the PanOceanian army’s salvation, reversing the tide of battle and achieving an unthinkable victory. This page was last modified on 1 November 2018, at 17:38.